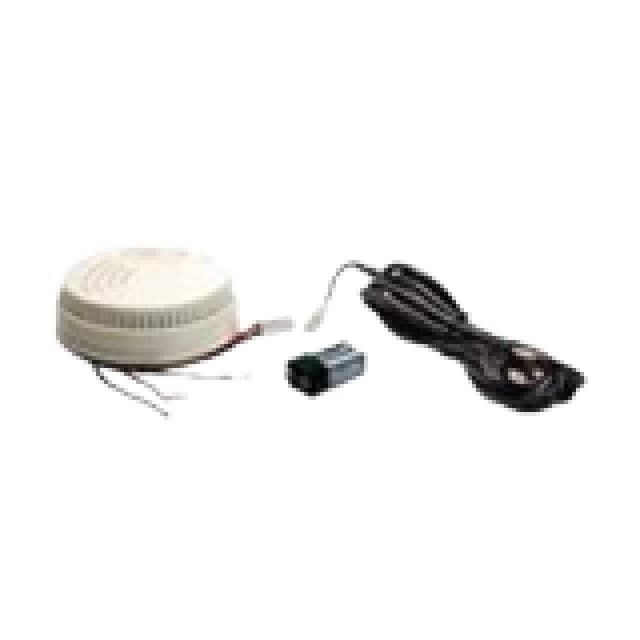 Smoke Detector/Alarm 110V AC, NEMA 5-15. The EMD5000 monitors the status of one or two external dry contacts, which can be connected to a smoke detector, water detector, vibration or open-door sensor giving enhanced visibility into your remote sites. Works with Opengear console server to provide secure authenticated access. Our environmental devices plug into the serial ports on Opengear console servers and enables remote monitoring using a standard web browser. Alerts are sent via email, SMS and SNMP traps. Automated response sequences can be initiated by environmental trigger events. Reports can be accessed remotely using standard web browsers and data logged with time stamps.